The Executive MBA (or EMBA) programme at IHU has been developed by academics and practitioners with many years of business education experience and in close consultation with leading organisations in the region. The EMBA consistds of six integrated parts and is designed to meet the busy schedule of executives across Europe, with a particular focus on South East Europe. 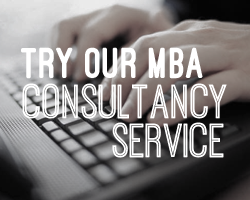 The EMBA programme consists of the core and elective courses. Participants also benefit from the Integrating Seminars, the Field Trip, the Professional Development Programme and the Business Consultancy Project which is a 10.000 word business project on a subject related to their interests and career. For more information on the programme structure and its content, contact us easily by » Requesting More Information. For more information about EMBA Programme, please submit an information request below and the school will contact you with further information. The new intake for the EMBA is scheduled for January 2010. The International Hellenic University operates a rolling admission policy. This means that candidates apply for and are admitted to our programmes throughout the year. We suggest, however, that you apply as soon as possible to ensure a quick response and place availability. We aim to provide decision within two weeks of your submitting a complete application. All non-native English speaking participants need to submit proof of their English language proficiency by good scores on English language proficiency tests: Certificate of Proficiency of Cambridge , Certificate of Proficiency of Michigan, IELTS (minimum 7), TOEFL (100 Internet-based) or TOEIC (900 minimum). If there is less than three years’ full-time experience, a well-balanced GMAT score is required. A strong motivation and commitment to completing the EMBA in the form of a personal letter. The EMBA is a 24-month programme taught over a long weekend once a month except April, August and December. It starts on Friday at 12.00 and finishes at 18.00. Examinations and tests take place during weekends. Scholarships are available for exceptional candidates where financial need can be demonstrated. The tuition fees for the Executive MBA programme are 12,000 Euros in which notes and books are included. Fill out your details to find out more about EMBA Programme.